Virginia Cunningham Presents: "Aw Nuts! 6 Reasons Why Eating Nuts Can Improve Your Heart Health"
The Community Plate is happy to present our fourth guest blogger, Virginia Cunningham! Virginia contacted me about a month ago, asking to share one of her unique and original pieces for The Community Plate. Virginia is honored to share her knowledge with my readers, and to talk about the many health benefits of nuts. She encourages everyone (without a nut allergy) to get healthy and fit this season by trying some of these recipes! Read on to find out more about the nutty benefits! Help yourself to some nuts this holiday season: Eating nuts five or more times a week reduces your risk of heart attack by a whopping 60%. And according to the American Heart Association, it is recommended to snack on an assortment of mixed of nuts as part of a low-fat diet. Just be careful of munching on too many since they are dense in calories. Here are six reasons nuts have been called heart-healthy and a few recipes packed with reasons to get crackin'! 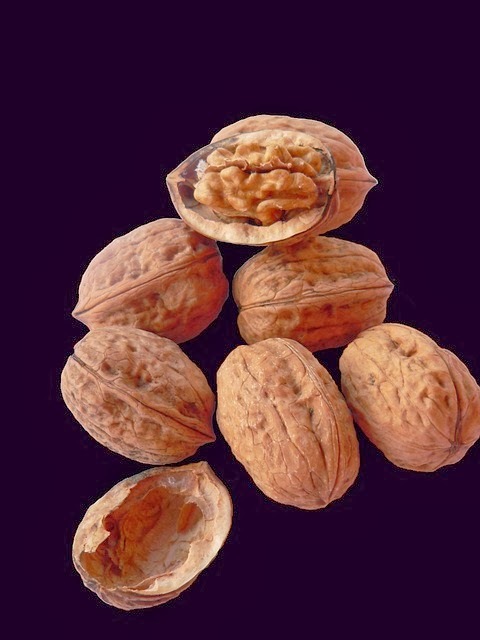 1) Nuts are low in saturated fat and high in unsaturated fatty acids in the form of monounsaturated and polyunsaturated fats. These “good” fats improve blood cholesterol levels and inflammation, which reduce your risk of heart disease. 2) They are rich in Omega-3 fatty acids. This is a type of polyunsaturated fat that decreases the risk of coronary artery disease by protecting against irregular heartbeats, lowering blood pressure and affecting blood lipids and lipoproteins favorably. If you love munching on walnuts, you’ll likely enjoy a simple glazed nuts recipe. This holiday snacks’ main ingredient is walnuts, which are known to be high in heart healthy omega-3. 3) A handful of nuts contains a good amount of fiber, which lowers cholesterol, improves hypertension and helps you lose weight, all of which improve long-term risks for cardiovascular disease. Add flavor and crunch to a side dish by adding some orange-scented green beans with toasted almonds. The combination of fiber packed green beans and almonds make this fresh and easy recipe a huge hit. Load up on fiber now, avoid heart disease later! 4) Nuts contain plant sterols which are healthy for your heart by blocking the absorption of cholesterol in the small intestine. This lowers “bad” low density cholesterol (LDL) by 6-15% without lowering “good” high density cholesterol (HDL). Try a simple and gluten-free flourless honey almond cake with tea or coffee to serve your guests this season. Bonus points here-- plant sterols do not interfere with cholesterol lowering medications if anyone in your family is currently on them. 5) Vitamin E works as an antioxidant to combat damage to blood vessels caused by free radicals. 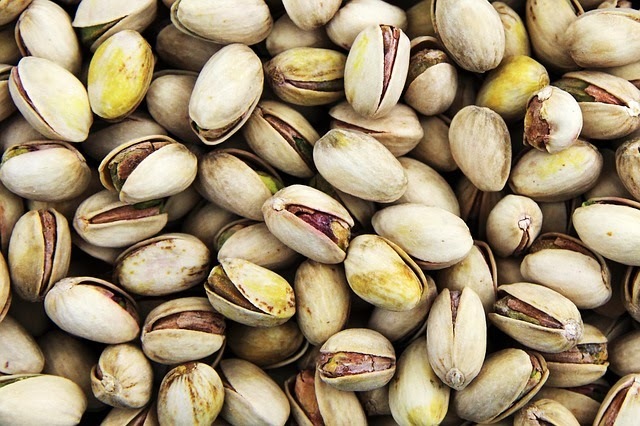 The most common form of vitamin E in the American diet is found in pistachios, pecans, cashews and peanuts. Hmmm, did someone mention pecans? With half the calories and fat of a traditional recipe, this healthy pecan pie is an inviting and delicious way to spice up your regular routine. Give it a try - no one will know the difference, and your heart and taste buds will surely thank you. 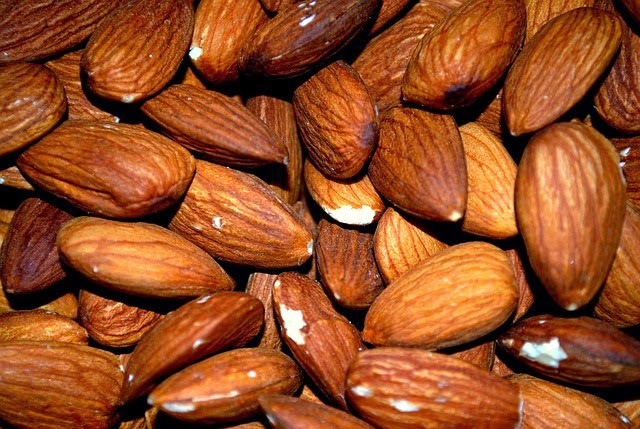 6) The chemical building block L-arginine is found in nuts, which may improve heart and blood vessel conditions. This happens by making the walls of your arteries more dilated and flexible and less prone to blood clots. Although a simple amino acid, it does a great job in keeping your blood freely moving! Heart disease is the number one cause of death in America, but ignoring it won’t lower your risk. For the whole truth and “nutting” but the truth, take action against heart disease and cancer by incorporating more more nuts into your diet. They are the powerhouse of good nutrition, as well as delicious and filling. In fact, the above super satisfying recipes may just be the hit of your holiday party! All photos courtesy of Pixabay!